I wanted to share a project I recently completed, I Love, Love, Love this wreath! 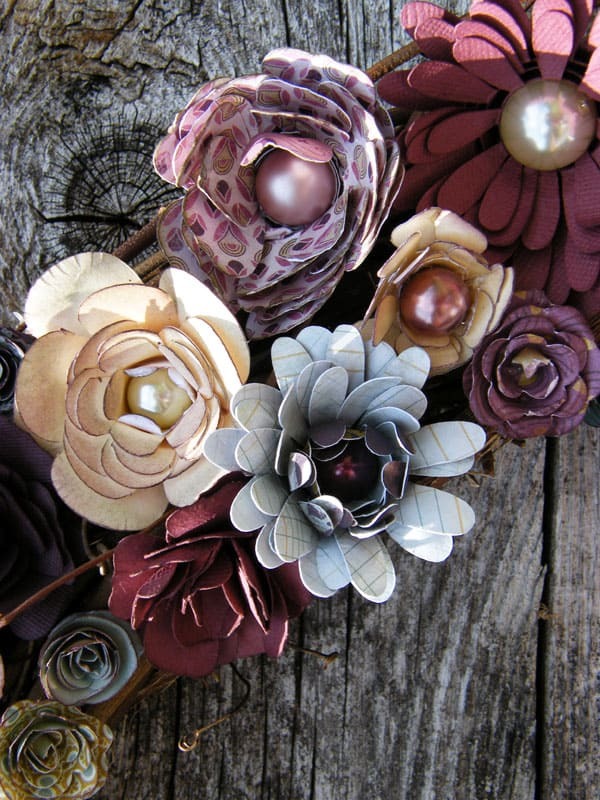 I love how everything worked together and I can’t get enough of these paper flowers! Last weekend was good friends bridal shower and this paper flower wreath was my gift I made for her home (I hope she liked it too). I found the cut files for the paper flowers at Birds cards, and the little bitty ones I made with a scallop punch. The grapevine wreath perfectly accented these rolled paper flowers. 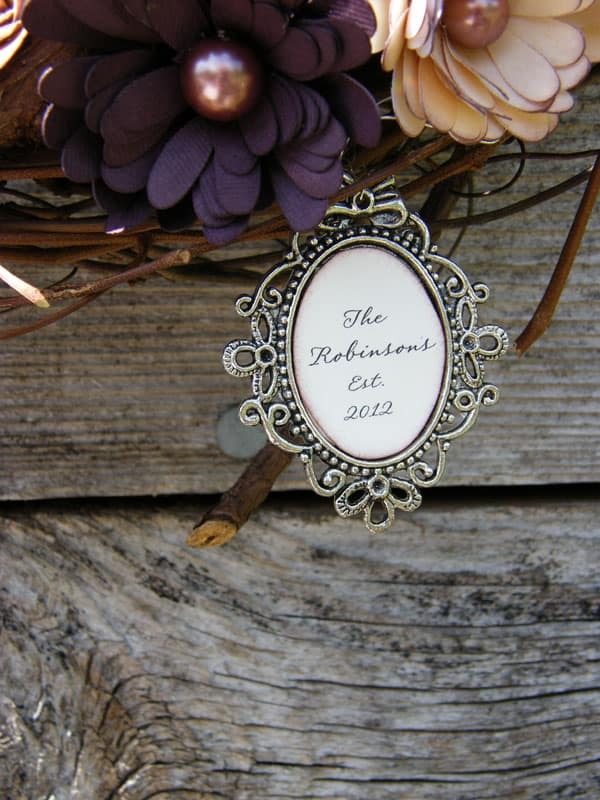 I added a name plate to a wreath to make it a special personalized gift. 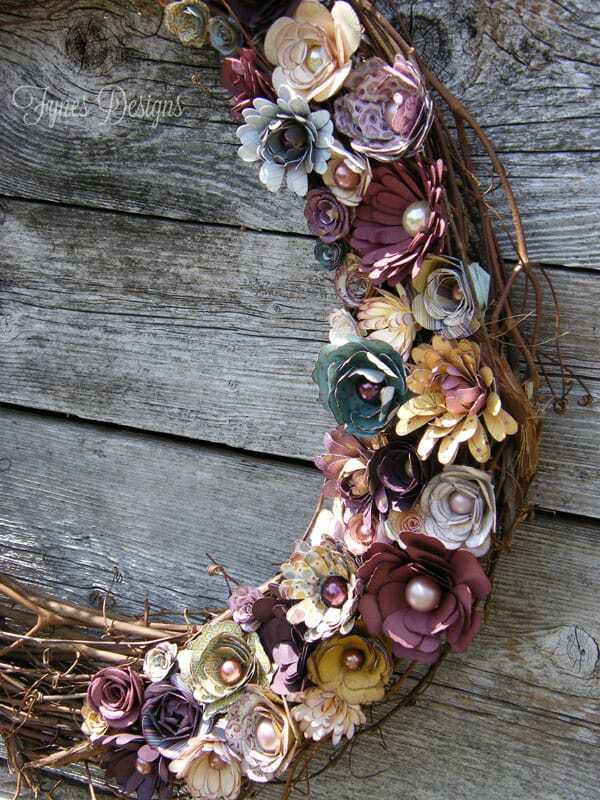 I hope you love this beautiful paper flower wreath, I will defiantly be making more of these! This is gorgeous! Did it take you long to roll up all those flowers? Super pretty for any occasion. It wasn’t too bad, tweezers and hot glue make it go much smoother! I was the friend lucky enough to receive this gift and I love it:) It is absolutely gorgeous. I have it hanging in my kitchen for all to see!! omg, this is AMAZING! It looks so beauitful. I’ve been really into paper flowers recently too and can’t stop ohing and ahhing over them. What die cut did you use to cut the inital strips out of? I didn’t see the gal in the tutorial say so either. The beads are just perfect to give it that extra shine and the pretty pattern papers. I don’t have a die cut machine yet but I am researching them to figure out what I’d use the most. Thanks for you lovely comments! The files used to cut are from the link (somewhere it says I used these files) and then I cut them on my cricut. However, I have seen Spellbinders that cut a similar shape using a die cut machine. 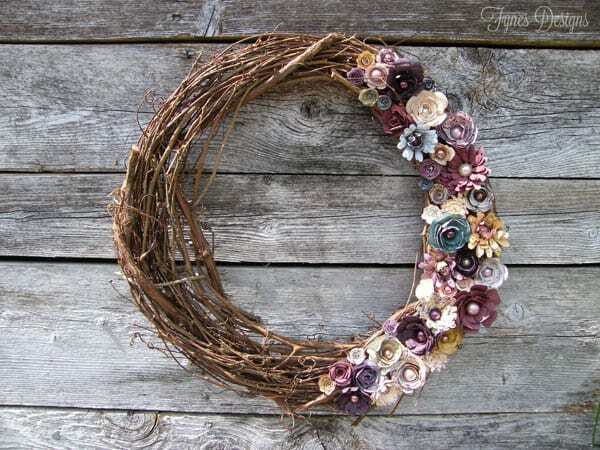 The flowers can also be made using a circle cut into a spiral, then rolled from the outside to the inside. This really is gorgeous! Made it happen get you lengthy to roll-up all individuals flowers? Super pretty for just about any occasion.